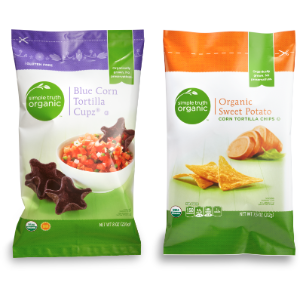 FREE Simple Truth Organic™ Tortilla Chips Receive ONE (1) FREE Simple Truth Organic™ Tortilla Chips, any variety (7.5-9 oz.). Limit of one coupon per household. Digital coupons and paper coupons may not be combined on the purchase of a single item.